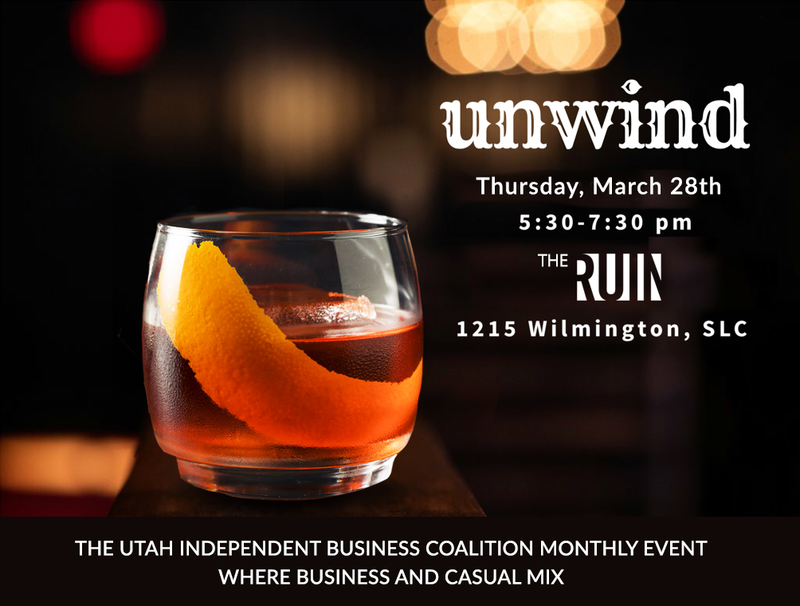 Unwind with your friends at the Utah Independent Business Coalition (UIBC) this Thursday, March 28th. Join us for “Unwind”, this Thursday, March 28th, from 5:30 to 7:30 pm at The Ruin (1215 Wilmington, SLC). We’d love to see you there.